Carrying the top weight of 59kg proved no hurdle to classy Three Bridges Thoroughbreds sales graduate, Ringerdingding (Sebring), who burst back to top form at Randwick on the first day of The Championships to win the Group 3 ATC Carbine Club Stakes. Previously trained by Edward O’Rourke, Ringerdingding showed his class last spring when taking out the Group 2 MRC Sandown Guineas and was entered for the Group 1 ATC Doncaster Handicap on the same program, but missed a start when he was only listed as an emergency. The easier race proved a soft target for Ringerdingding, who settled midfield for James McDonald and hit the line hard to win the 1600 metre feature by half a neck. A $170,000 Inglis Premier purchase from the Three Bridges Thoroughbreds draft for Ricky Surace’s B2B Bloodstock, Ringerdingding was bred by Three Bridges in partnership as they purchased her dam Maybe I through Paul Willetts for $120,000 at the Inglis Broodmare Sale in 2015. Ringerdingding is a half-brother to this season’s stakes-placed two year-old Salome by former Three Bridges stallion Unencumbered, and is the second winner for Group 3 placed Red Ransom (USA) mare Maybe I, a grand-daughter of dual Group I winner Flitter. Now with B2B Bloodstock, Maybe I produced a colt by Ringerdingding’s sire Sebring last year and is now back in foal to him again. 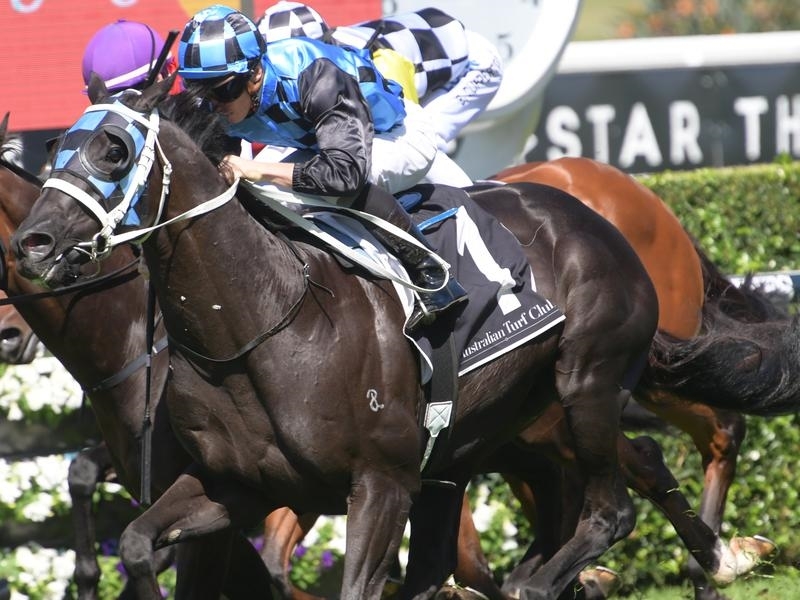 The shock loss of Sebring this February guarantees the progeny will be in high demand. Part-owner, Ricky Surace of B2B Bloodstock, is enjoying the ride as Ringerdingding is poised to reap substantial rewards as the colt continues to build up an impressive resume before eventually heading off to the stallion barn, having already struck gold with his first thoroughbred, Star Witness. Three Bridges has also had plenty of luck with the progeny of the ill-fated Sebring, having sold Sebring Brisbane Cup winner Sedanzer, Supido and Hong Kong’s Group 1-star, Lucky Bubbles, the latter two on behalf of Rick Jamieson. “It’s really come together for us over the last couple of years,” Three Bridges’ Toby Liston enthused. “We have had a great run through our Group 1 winners Sopressa (Schweppes Oaks) and Leicester (South Australian Derby).